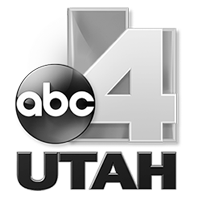 Communie has been featured on Utah's news stations and talk shows showcasing ways to save thousands of dollars by using our new construction search engine when looking to buy a new home build! Fieldstone Homes joins Nicea DeGering on Good Things Utah to discuss how they stand out as a builder and what it's like to build with them! Looking to build a new construction home? Make sure to start your search with Communie! Search through hundreds of builders, communities, and model homes in Utah all in one place! Plus you will be able to save THOUSANDS when you work with Communie to find your new home build! Jay Erwin from the Salt Lake Home Builders Association went on Good Things Utah to talk with Nicea DeGering to talk about what the SLHBA does and how you can get involved with their charity work. Paxton Guymon talked with Nicea DeGering on Good Things Utah to talk more about Communie and why you should be working with Communie if you are thinking of buying new! . Wright Homes joins Nicea DeGering on Good Things Utah to discuss their home that is in the Salt Lake Parade of Homes. It's a good idea to know exactly what you want before you purchase a home. Lily Hancock joined Nicea DeGering, with 3 key things to look at before buying. B.J. Chandler with Millhaven Homes joins Nicea DeGering on Good Things Utah to discuss their homes that is in the Utah Valley Parade of Homes. Chanelle Anderson with Arive Homes joins Studio 5 to tour their Parade Home in Saratoga Springs. Real Estate Attorney, Paxton Guymon, talks about why you should be doing research before hiring a home builder and using Communie to buy your new construction home in Utah. Are you ready to find your new home in Utah? Search through hundreds of builders, communities, and model homes in Utah all in one place! Plus you will be able to save THOUSANDS when you work with Communie to find your new home build! Lily Hancock with Communie joins Good4Utah to discuss the benefits of buying a new home versus an existing home. Plus, how Communie can help you find your new home while saving you thousands of dollars! Lily Hancock with Communie joins Nicea DeGering on Good Things Utah to discuss an easier way to streamline your new home search, which will allow you to save time and money in the process! 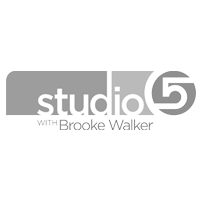 Lily Hancock with Communie joins Brooke Walker on Studio 5 to discuss what Communie is and how it streamlines your search if you are looking to buy a new home build! Plus, how you can save thousands of dollars when starting your search with Communie. Lily Hancock with Communie joins Good4Utah to discuss what Communie is and how it streamlines your search if you are looking to buy a new home build! Plus, how you can save thousands of dollars when starting your search with Communie.